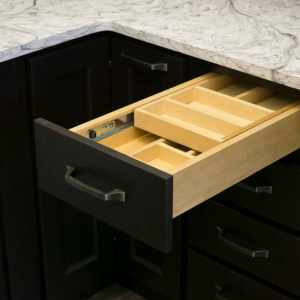 Founder’s Choice offers a large variety of cabinet features and accessories to help you optimize your kitchen to your needs. Click on one of our products to see more detailed information. On-counter staples such as flour, sugar and coffee are usually best stored in a airtight canister set. 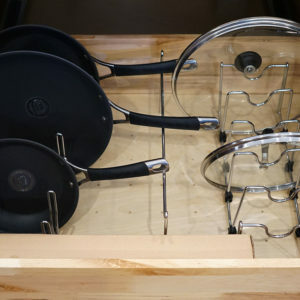 With a Pull Out Organizer they can be out of sight but readily available with extra storage space for backup stock. 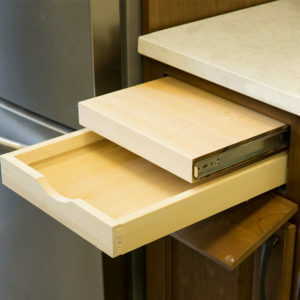 Door organizers allow you to maximize the space inside of your kitchen cabinets. 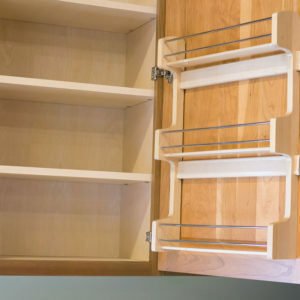 Utilize the empty space inside cupboards to create more storage in your kitchen. 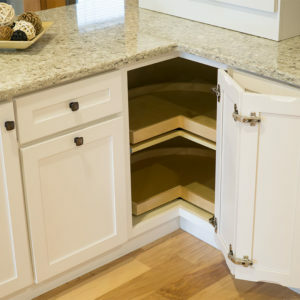 The easiest way to maximize your cabinet storage space is to design in a classic Lazy Susan. This feature allows the use of space that is sometimes walled in or simply not taken advantage of. Available in Oil Rubbed Bronze. The entire collection provides both durability and elegance, featuring heavy gauge wire construction and hidden mounting. 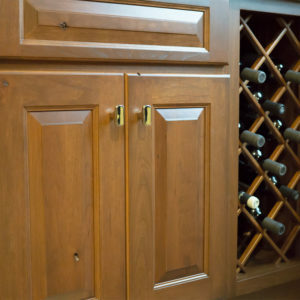 Easy to install, the 3250 under cabinet wine bottle rack is ideal for showcasing your wine collection. 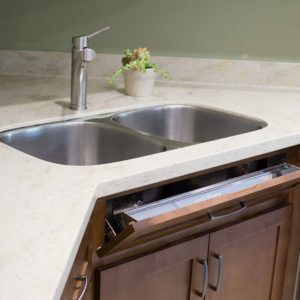 The Stainless Steel Tip-Out Tray features a sleek design with smooth, folded over edges and protective coating to minimize scratching and eliminate sharp areas.Make use of of the sink base false panel without interfering with your sink. The compact width is perfect for easy access to your spice collection, cooking oils and more. 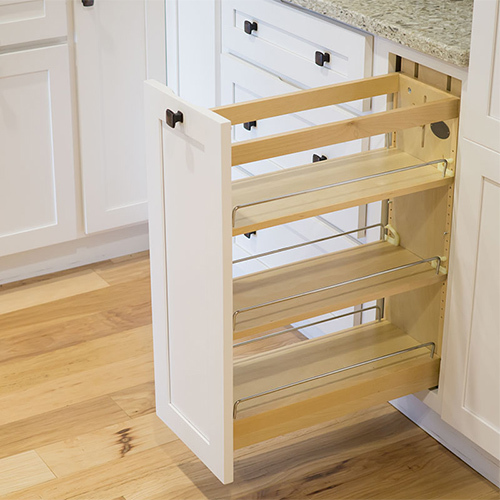 Features adjustable shelves with chrome rails, full-extension ball bearing slides and three slide design, providing the most stable function on the market. 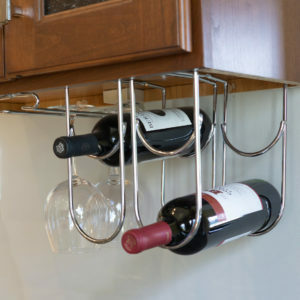 A great way to show off your extensive wine collection when entertaining guests. 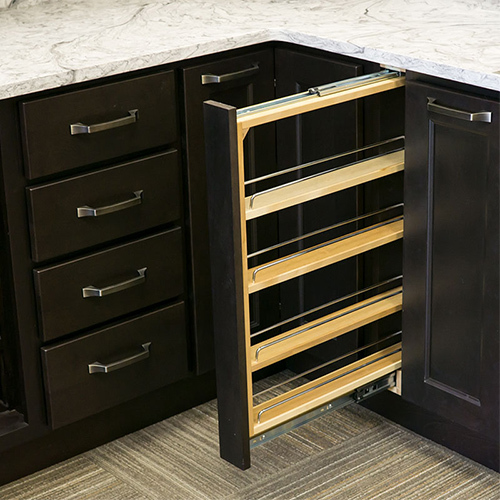 Our built in wine rack cabinets are a great complement to any kitchen. Kitchen features tailor your home to you. 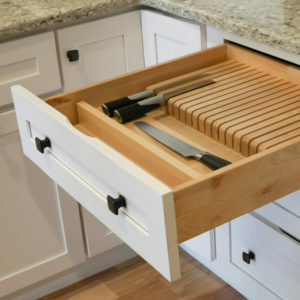 Explore cabinet features to organize your kitchen, ease day to day use, and impress your guests. 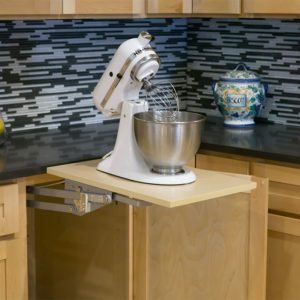 When thinking about your cabinet project, consider how you use your kitchen and how you can improve it. Look around at other kitchens and see what you like about them. Your dealer will assist you in choosing the right items for your design and layout.